For example, suppose you want to know exactly where a TextureOp is located in the construction history (aka the operator stack). A TextureOp object is nested under a cluster, not under the primitive, so you can’t use Primitive.ConstructionHistory. 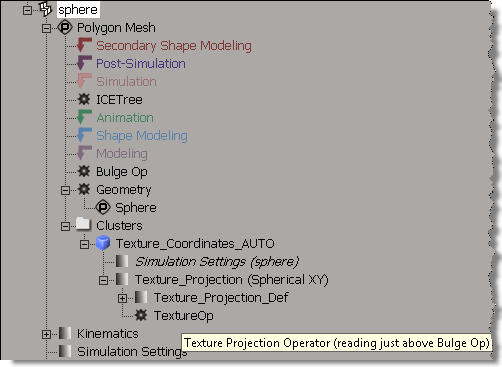 Try it, and you’ll see that the TextureOp does not show up. sRead = "(reading from bottom of primitive stack)"